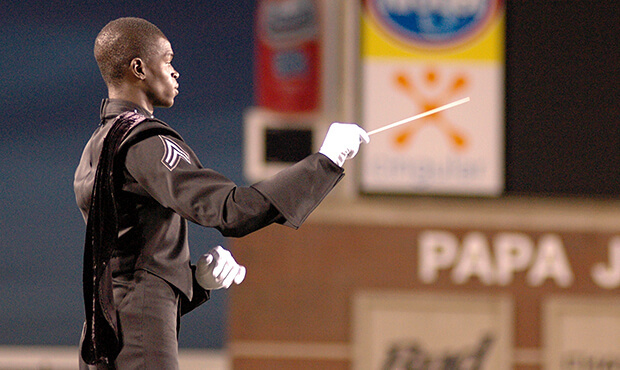 The year was 2007 and drum corps were just starting to hit the road. With the DCI World Championships scheduled to take place at Rose Bowl Stadium in California, they were embarking on a summer tour that would take them further west than ever before. Early in June in between Phantom Regiment's first competitions of the year, DCI.org had the opportunity to shadow the corps' conductor Darian Sanders, in this hour-by-hour look at a typical day for a drum corps member on the road.